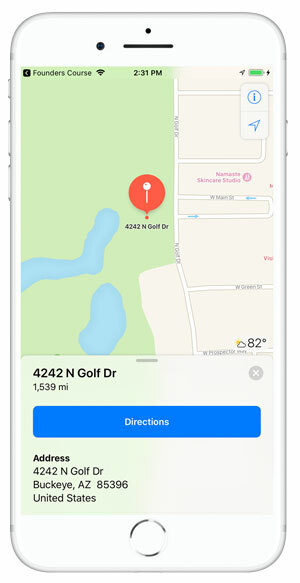 The adoption and proliferation of smartphones and related applications, or “apps” as they are more commonly known, has created a huge opportunity for golf courses to market and promote their facility. Best Approach has launched a program whereby courses can leverage their investment in media (yardage guides, flyovers, etc.) and turn that investment into a dynamic mobile application. 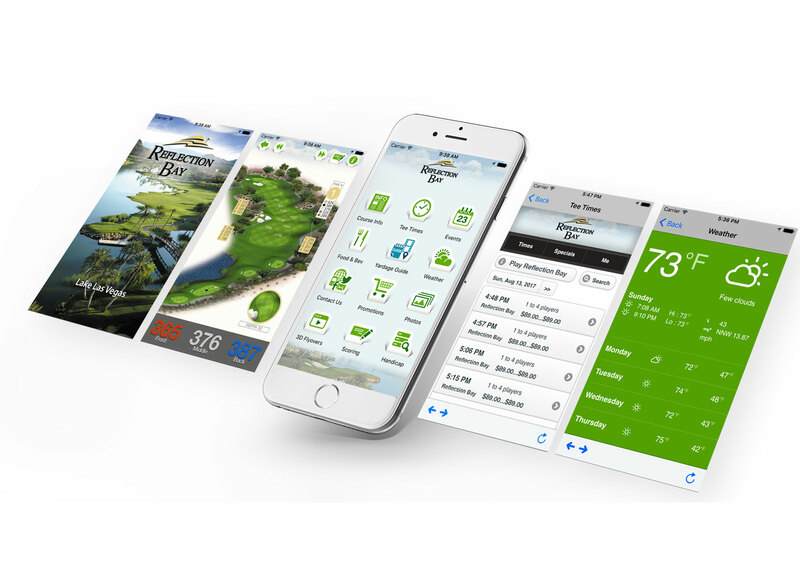 We have developed templates for native iPhone, Android and Web applications that combine your existing yardage guide and/or flyovers along with additional course information, tee time booking, notifications, event scoring, social media, food & beverage, promotions and much more, all into one mobile application. Explore this page to see all the features of CourseApp™ by Best Approach. 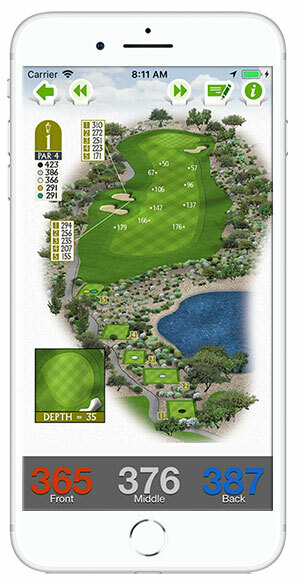 CourseApp™ includes a GPS Enabled Yardage Guide. Users can view an Accurate 3D graphic and flyover of each hole and get precise yardage to the front, middle and back of the green from wherever they may be on the course. Users can zoom in on the graphic to view more detail and a simple tap takes them to the next hole. CourseApp™ can include CourseFlight™ Animated Flyovers. 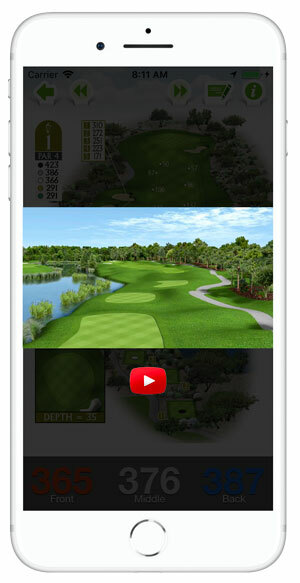 Users simply rotate the phone left or right while viewing the yardage guide and a flyover begins playing. Flyovers allow the user to visualize the hole and gain an appreciation of the terrain and golf features. 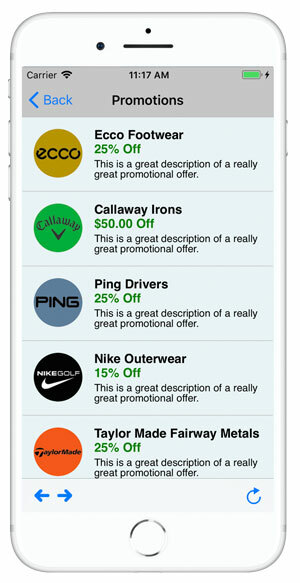 CourseApp™ integrates with your online tee time provider. 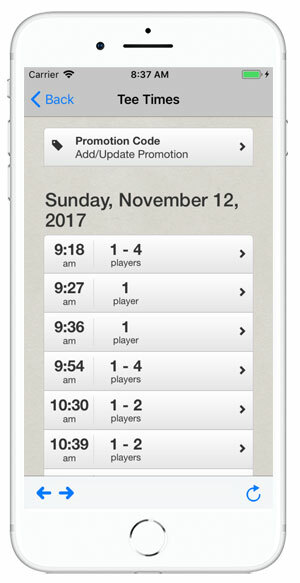 Users can book tee times as they would online from directly within the app. 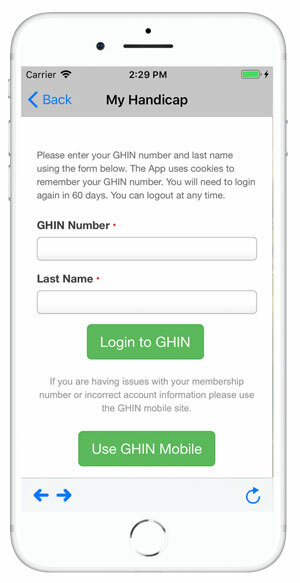 Courses that do not have a mobile friendly online tee time provider can provide a phone number that users can call directly from the app. 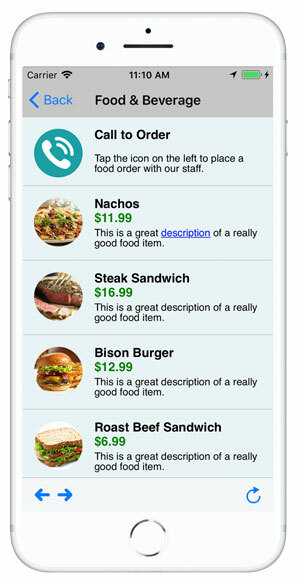 CourseApp™ Connection Suite includes a Food & Beverage Menu which allows an administrator to add and delete items, update prices, and change descriptions all from an easy to use website. 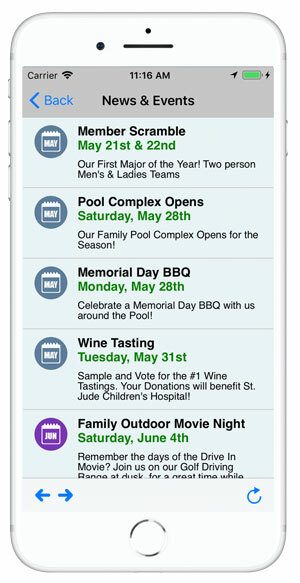 CourseApp™ Connection Suite includes an Event Manager which allows an administrator to add and delete events, update events, and change event descriptions and dates all from an easy to use website. CourseApp™ Connection Suite includes a Promotional Item Area which allows an administrator to add and delete items, update prices, and change descriptions all from an easy to use website. Items can include merchandise, special promotions, etc. 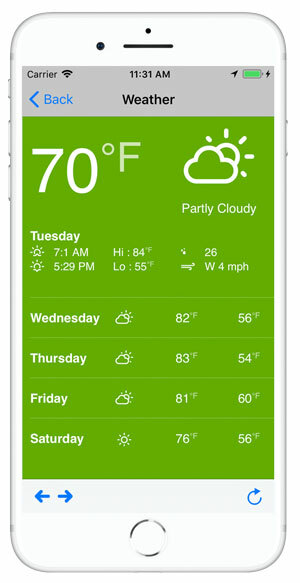 CourseApp™ includes a local weather forecast. Users can view current weather conditions as well as a forecast for the next three days. Temperatures can be provided in either Fahrenheit or Celcius. 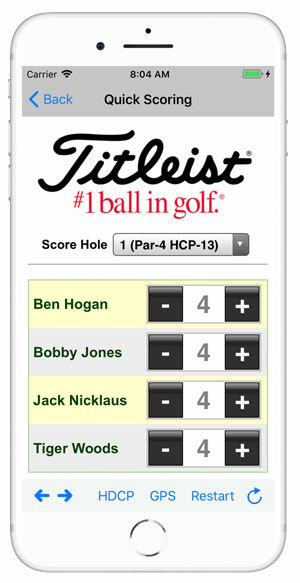 CourseApp™ supports live scoring and leaderboards. Courses can easily setup an event using our tournament website and golfers can enter scores in realtime directly from the app. The app supports Stroke play, Match play, Stableford and skins formats. 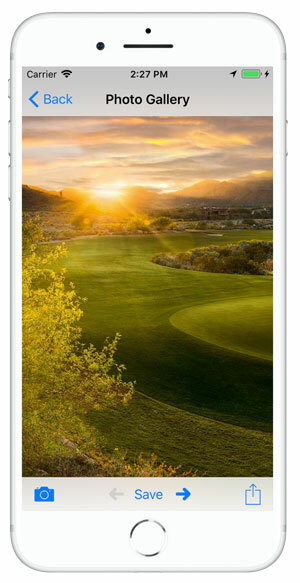 CourseApp™ includes a photo gallery to showcase your golf course. Up to 10 high quality photos can be included. CourseApp™ connects directly with GHIN or whatever handicap system your course uses to allow players to enter scores and manage their handicap. CourseApp™ includes a map and directions to your property. 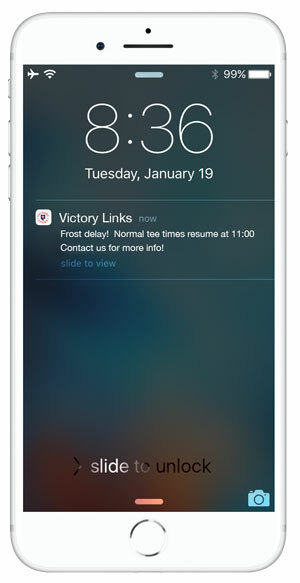 CourseApp™ supports push notifications to allow the course to communicate directly with members/players. Best Approach has been producing the finest yardage guides in the business since 1994. Founder Mike Howell developed a reputation for excellence in graphics, service and printing that grew Best Approach into the world’s largest producer of yardage guides. While the product offering now includes both print and digital media, Best Approach’s experience and core competencies remain focused on providing golf courses with the best golf course graphics available.